A cleverly designed supermini that has become one of the manufacturer's most popular models. The Getz is a great hatchback that's affordable to run, comes with an impressive amount of interior space, boasts a good sized boot and essentially manages the basics very well. 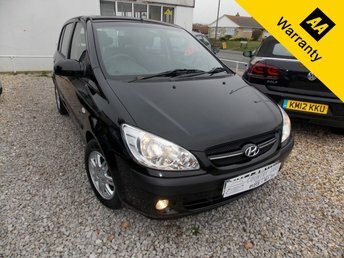 If you're looking to find a good quality, affordable used Hyundai Getz for sale in near Brighton then be sure to come to Country Cars Sussex today. We stock a fantastic selection of used vehicles and if you speak to a member of the team they'll do everything possible to help you find a car to suit your requirements.